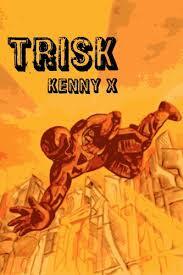 As Colt prepares to counter the Thule invasion, strange things begin to happen to him physically. Could his Thule blood be taking over? He fights for control of himself, even offering to submit to restraint. His commanding officers need him too desperately, both as a soldier and a messenger of hope to all humanity. Colt struggles to maintain a grueling schedule, and he and his friends frantically search for clues to when and where the Thule invasion will begin. Even if they discover the location of the battle, humans are outmatched by the large, fierce aliens. Colt knows it’s on his shoulders, but does he really have what it takes to save the world? In the final installment of the C.H.A.O.S. 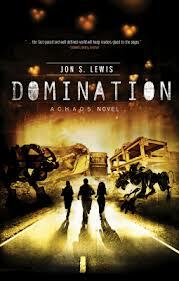 trilogy, Lewis delivers a fast-paced sci-fi tale reminiscent of the Halo game series. Fans of the movie Independence Day may also enjoy this story. Colt struggles with his feelings of attraction to one of his teammates despite his love for another girl. Colt feels overwhelmed at the idea that humanity’s fate may rest with his ability to fight. Again and again he thinks of a scripture reminding him that God is a refuge and help in time of trouble. Eira Ninge is about as unbalanced as her name sounds. She pursues Dix and her crew relentlessly, gruesomely disposing of anyone who chooses to help them escape. Despite the looming threat, resistance messenger Jordan Barrett joins forces with Dix. The captain is used to having her orders obeyed without question, but Barrett isn’t afraid to challenge her. Or laugh at her. Or call her Tabitha, which is just asking for it. Letting Barrett close means the risk of losing him, and Dix isn’t sure she can handle that with SUN agents drawing ever nearer. Dix has a plan. Hobs, a crew member and brilliant scientist, is close to finding a way to replicate the Eternigen. If Dix can dodge Eira until Hobs unlocks the formula, she and her crew can escape beyond the reaches of the SUN and find a place where they can truly be free. With mounting deaths of those she loves and Eira closing in, can Dix keep her crew safe long enough to escape for good? 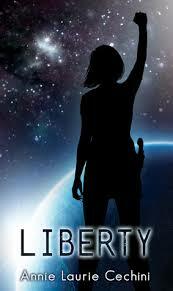 Liberty is a fast-paced, fun read. Our solar system has been terraformed and the planets occupied by settlers under the control of the SUN, who ration electricity and information. Elite groups of people have excesses of food and beautiful homes while most of humanity languishes in poor slums. Resistance movements gather to discuss and complain, but only Dix seems willing to buck the SUN openly. Dix is as spirited, goofy and easy to love as her crew members and their story. Brief discussion about whether heaven exists. A motherly figure tells Dix she must believe she will see those she loves again after this life. SUN dissenters are hanged. Punches are exchanged in battle sequences. A space ship is destroyed. Scenes are brief and without high level of detail. Characters go into a couple of bars but order things like ginger ale and root beer. Leave a comment on this post naming your favorite science fiction character from a book or movie. 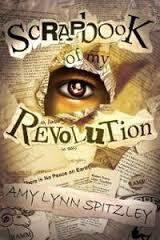 One commenter will win a free copy of Liberty! (Winner must have a US mailing address.) Contest ends Friday at 11:59 pm Eastern Time. After a narrow escape from an intense battle on her home planet Corista, Oriannon and her friends head toward a way station, guided by the mysterious pilot stone. Oriannon’s mentor, Jesmet, appears to her and instructs her to take word to each way station, warning the people of an impending attack by the merciless Troikans. Oriannon wants to obey, but there are two problems: she is saddled with the presence of their enemy, Sola Minnik, blinded in the attack on Corista, and no one seems to believe her visions of Jesmet and his message about the doom to come. Is Oriannon wrong? Are her experiences with Jesmet mere hallucinations? Can she lead her friends in her holy quest or will she have to face this task alone? Beyond Corista is the third book in the Shadowside Trilogy. The story follows Oriannon, a young girl with a special gift to remember anything she reads, and a love for the Owling people– a humble group who dwell on the dark side of her home planet, Corista. In the footsteps of her father’s leadership, she struggles to make choices that protect the innocent, even in the face of great evil. Oriannon learns that trusting God and following His instructions is not always easy, nor does it always look like she expects. There are some battle and capture sequences, but those are not graphic or explicit in nature.